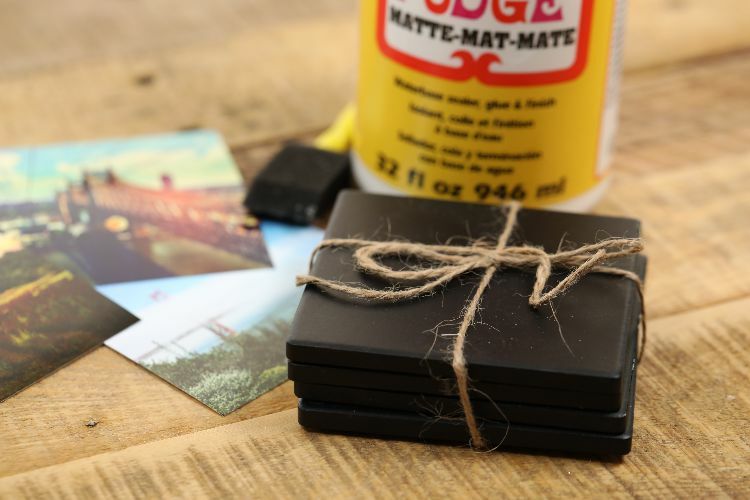 This is one of the easiest DIY crafts that you'll ever try: Simply glue four beautiful photos to four square coasters. 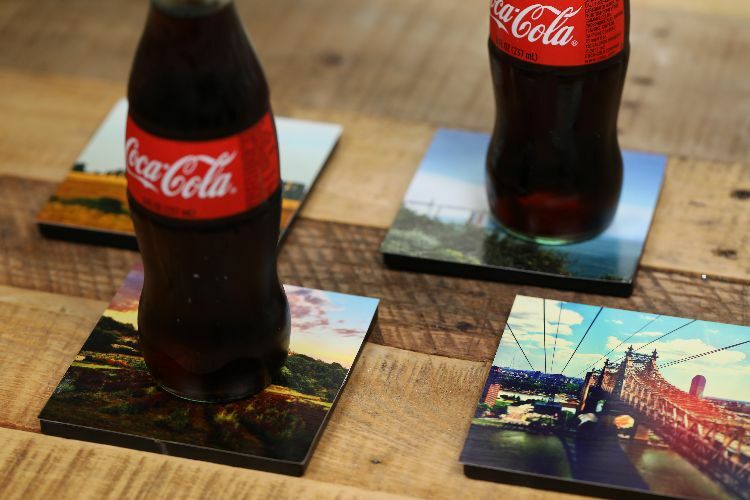 Of course, once you see how to do it, you can always adapt your photos to fit the size and shape of any pre-made coaster. It's an instant way to personalize them. The trick to this craft isn't really in how it's made. That part is easy. It's all about choosing the right photos for the job. Here, you'll see stunning landscape images; however, you might choose photos of pets, family or favorite symbols, for example. 1. Place each of the four blank coasters face up. 2. 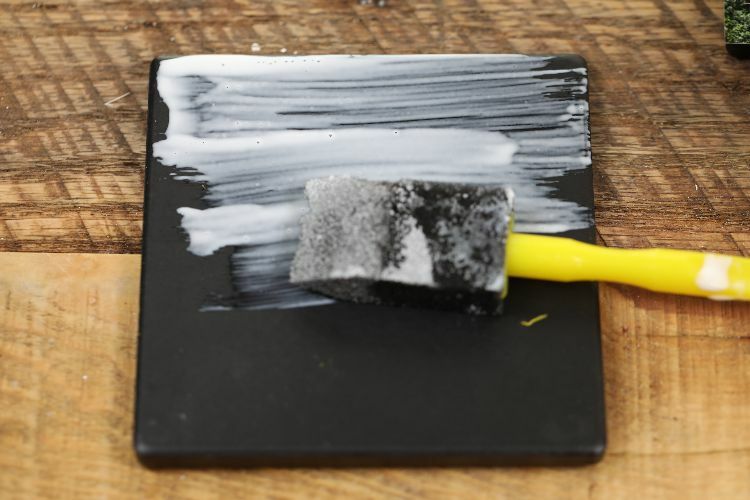 Paint Mod Podge matte glue to the entire surface of each coaster. 3. 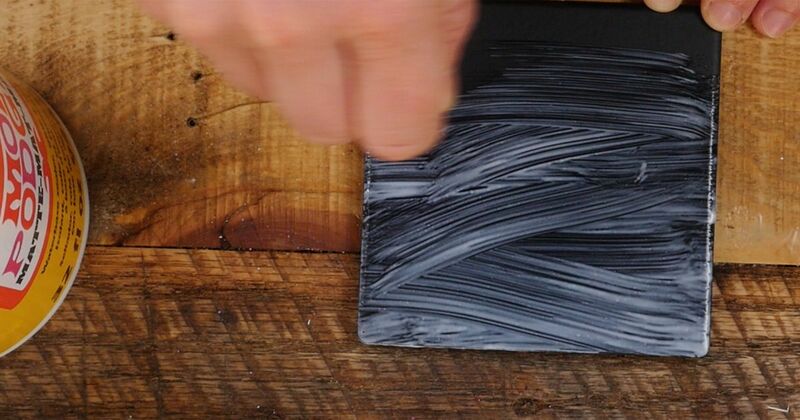 Place a printed photo face up on top of each glue-coated coaster. Allow them to dry. 4. 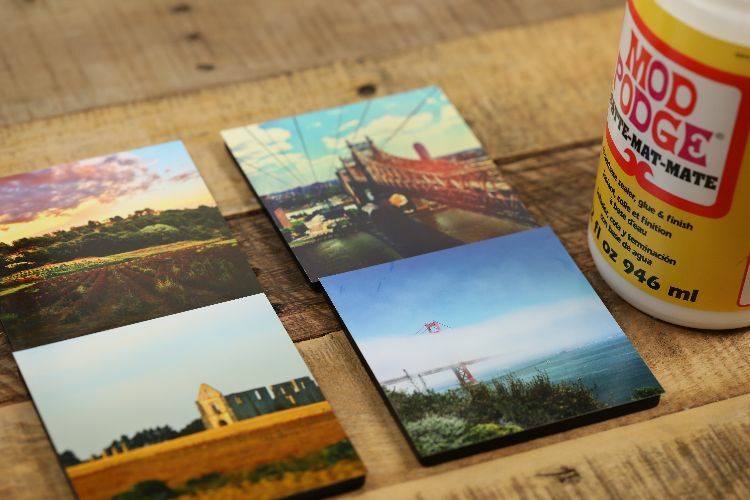 Apply another layer of Mod Podge matte glue to the top of each photo and allow them to dry.